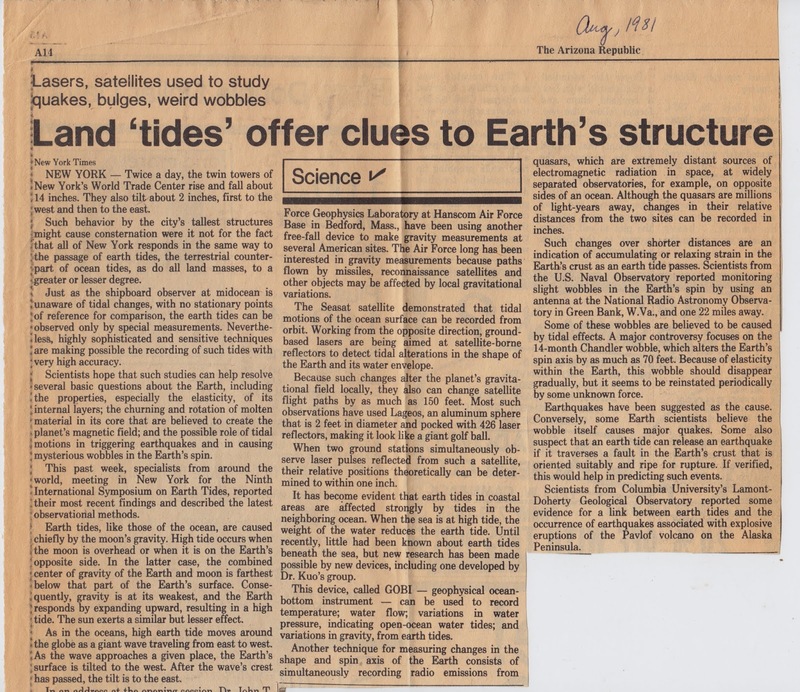 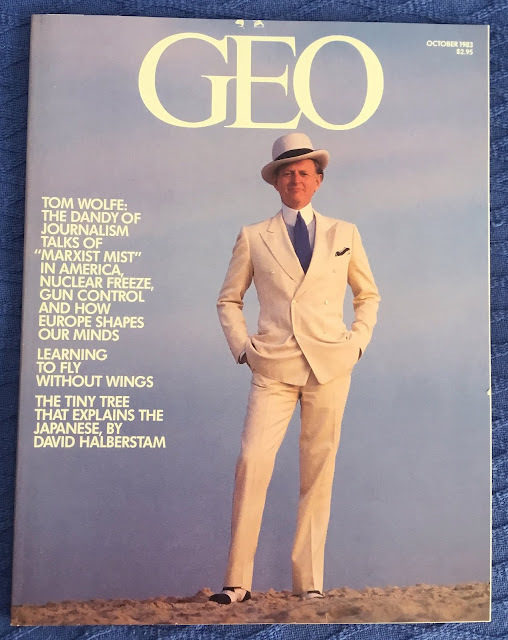 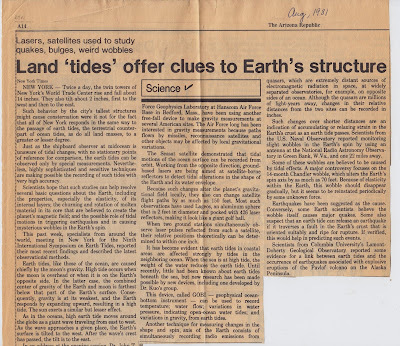 Provenance: Contains an article clipped from The Arizona Republic, August 1981, headlined: "Land 'tides' offer clues to Earth's structure"
From the Introduction: "The Undersea Gardens is unique in the world! 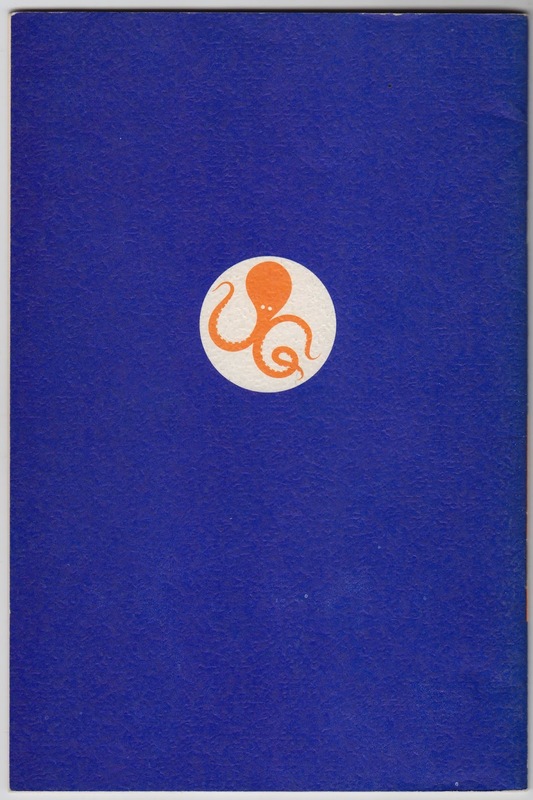 It is a rectangular steel and concrete structure submerged in natural sea water. It permits visitors to descend ten feet beneath the surface of the ocean to watch hundreds of varieties of sea animals and plants living in their natural surroundings. 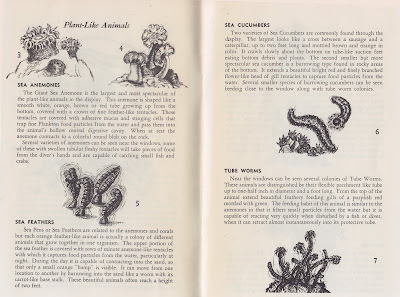 An area of almost 2,000 square feet has been netted off to keep these many varieties of plants and animals within a convenient distance from the viewing windows." 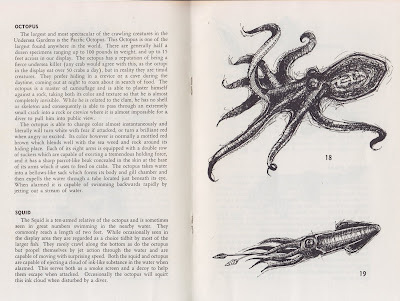 Random Passage: "The octopus is a master of camouflage and is able to plaster himself against a rock, taking both its color and texture so that he is almost completely invisible." 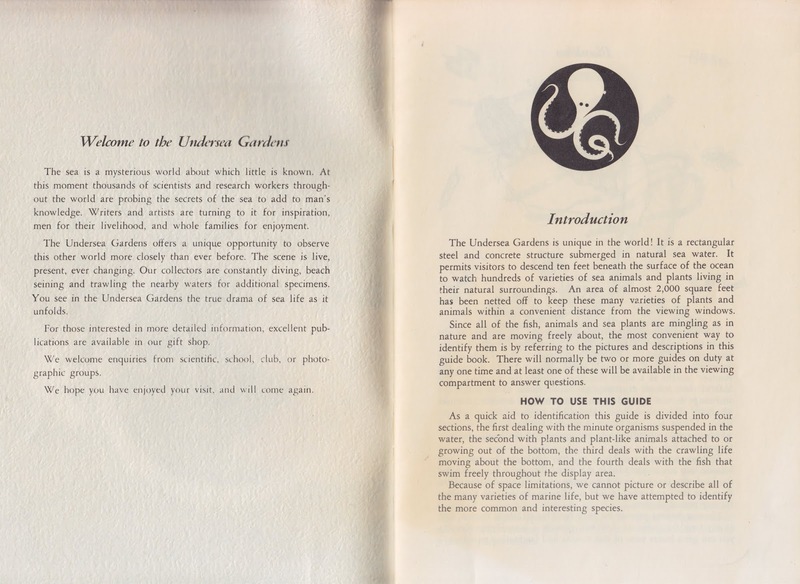 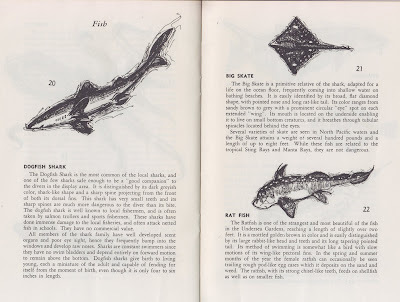 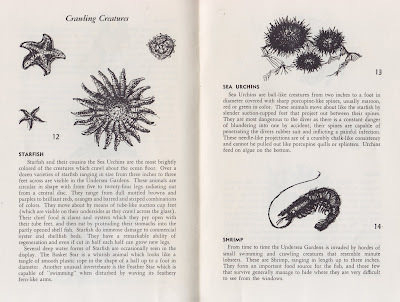 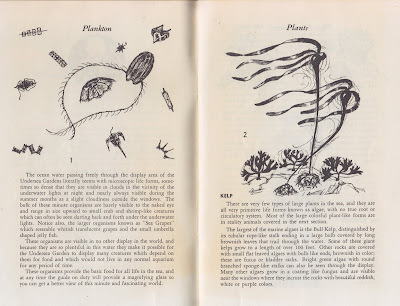 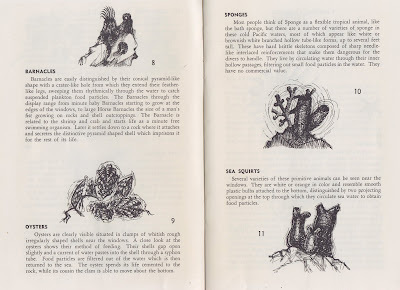 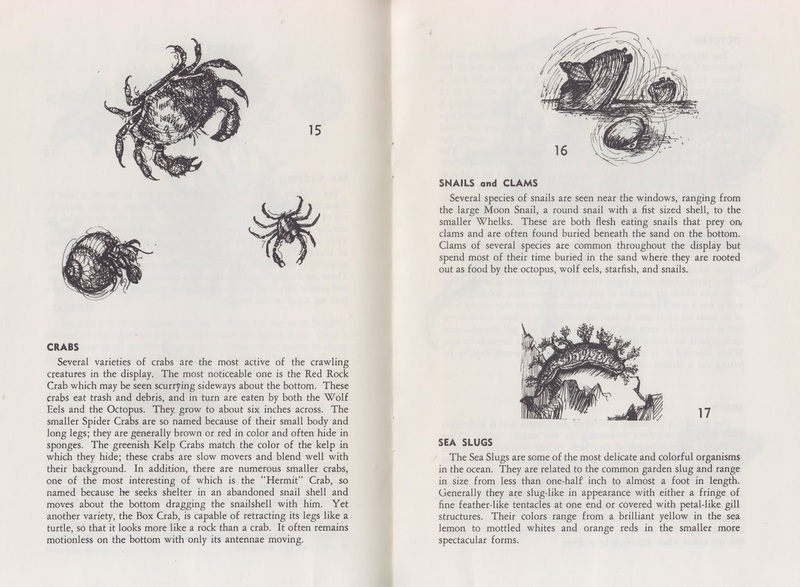 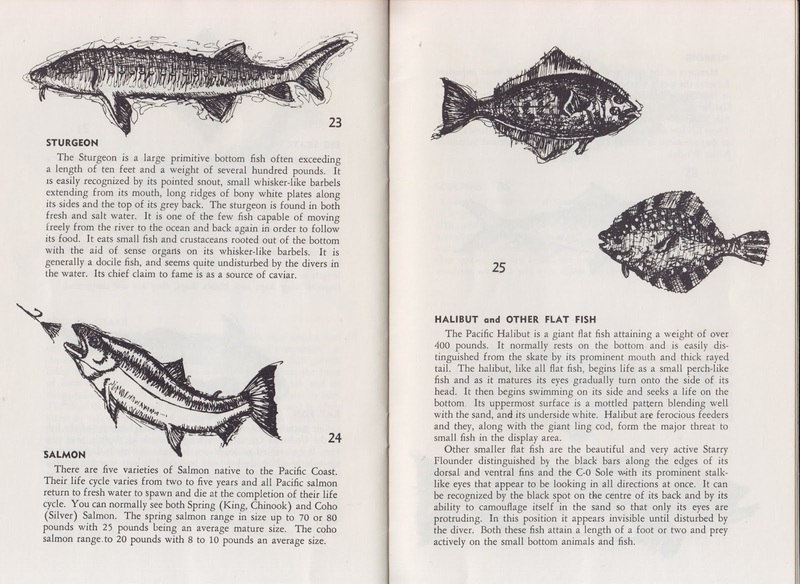 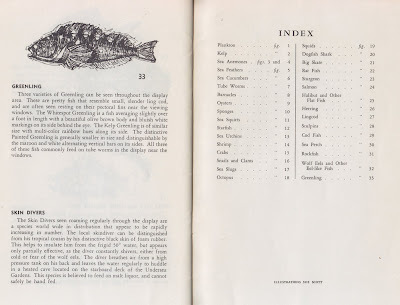 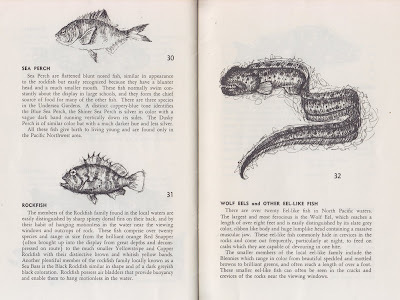 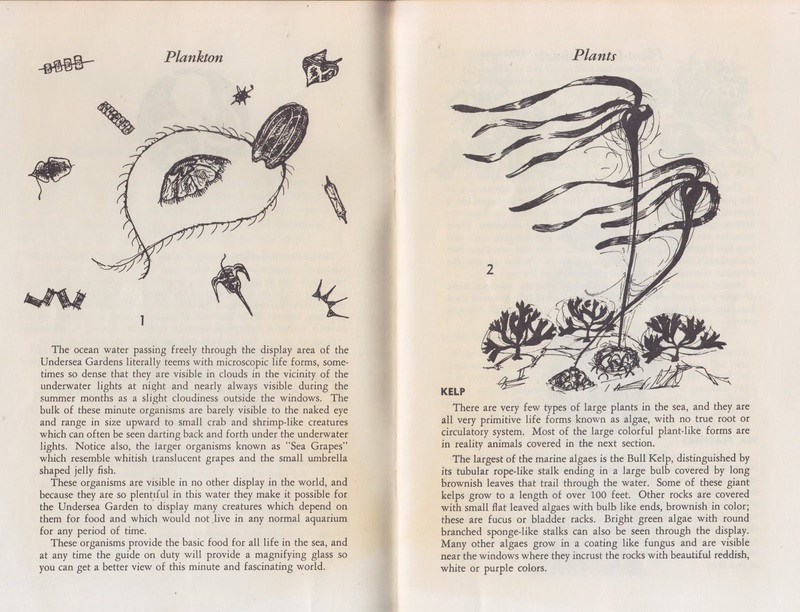 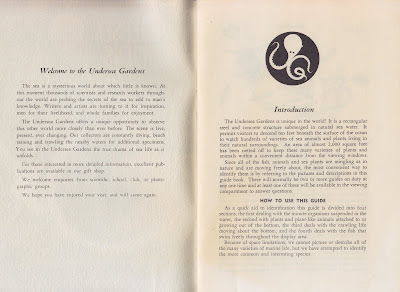 Notes: Souvenir guide from Undersea Gardens, an attraction that still draws in visitors to Newport, Oregon's Mariner Square (another, unrelated Undersea Gardens exists in Canada's Victoria Bay). 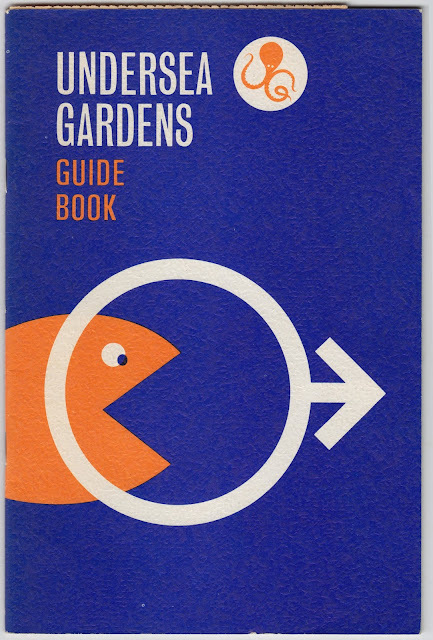 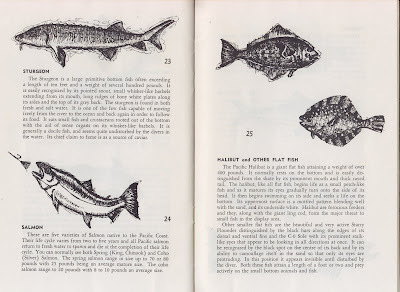 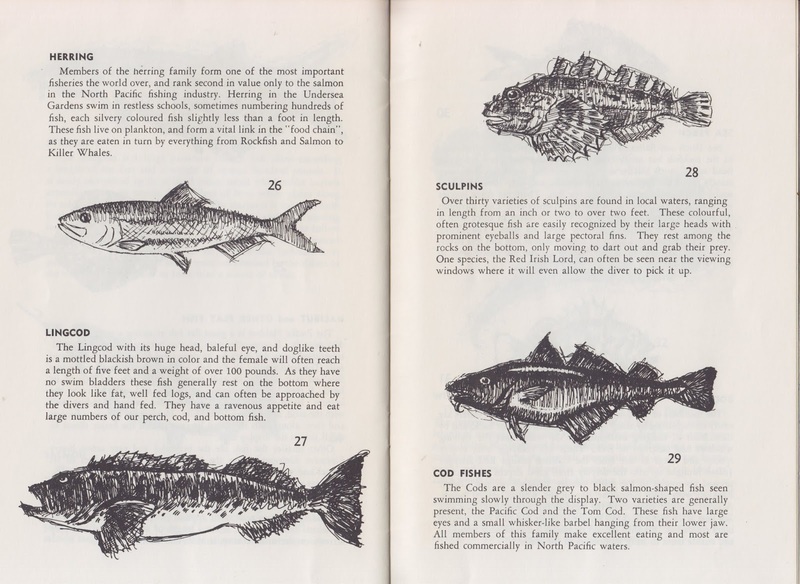 Enjoy this informative 1960s guide in its entirety.